The true purpose of art is to lighten up the day of the people appreciating it. Art is capable of change feelings and outlook in life if it is done right. 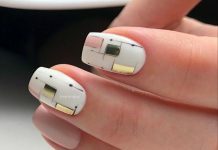 Today’s nail art design is something that not only gives out beauty, it also literally brightens up everyone’s day. One of the most beautiful and coolest flower species out there is the sunflower. Its yellow, it is big, and it follows the sun throughout the day. Artists find sunflower very easy to recreate and be an inspiration because the flower is so prominent and it literally stands out from the rest. 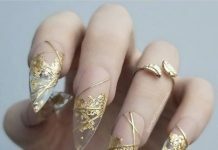 Nail art that are inspired by sunflower are fresh in the eyes and gives out a very relaxing feeling. Most of the times done in white polish background, a sunflower can be presented whole or a just a part in every nail canvass. 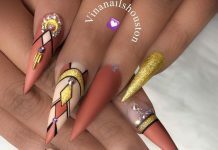 There is no debate as to what color the flower should be so the uniqueness of each design varies on how the background was done and how the flower is illustrated. 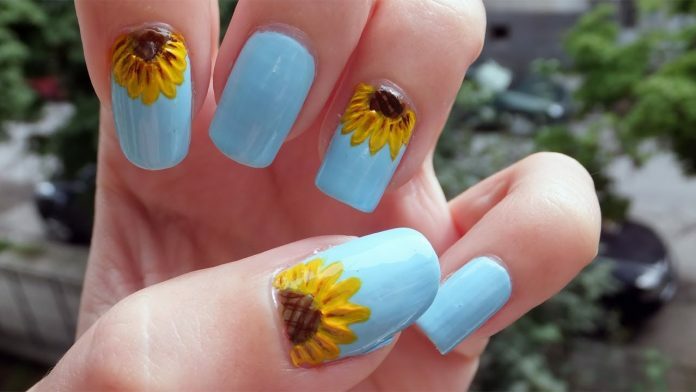 32 of the best sunflower-painted nails are here for you guys today. Be captivated and mesmerized with the radiant glow and beauty of sunflowers.